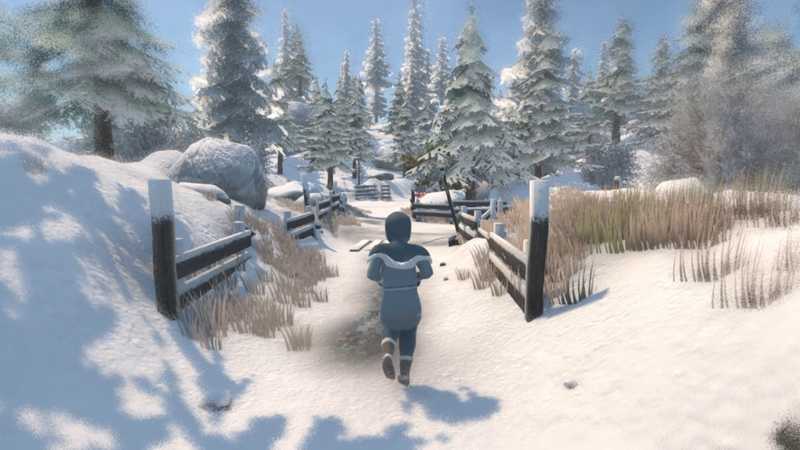 A 3D survival adventure game where you play as a girl Ammi who has to take care of her mother Emmi who has fallen ill after they are caught in a blizzard on their way to a sanctuary. You explore the unfamiliar island to find food, water, firewood for your mother. You also explore the island looking for help but the place seems abandoned. The game was made in Unity, models were created with Maya and Zbrush, textured in Substance Painter and Photoshop. I always wanted to make a game based in a snowy winter environment. The original idea for the game, Ammi is seperated from her mother so you have to find a way to the sanctuary where you were both origanlly going to. She has to survive on her own braving the cold winter and elements. Outrun the wolf that is chasing you after getting attacked once. In this version, I liked the idea of a child helping her mother survive after getting trapped until the mother is well enough to travel again. The game was going to play like 3D Zeldas and Brothers a tale of two sons. You can interact with fun things in the environment like leaving food a snow rabbit, fishing for food, cooking at night for your mother, sledding down slopes. You also of course have to survive in blizzards if you choose to go out. There will be a day and night cycle in the game with different things happening at different times. The first section of the island is divided into 3 sections and the home cave section where your mum is. The first section is readily available to explore and that’s where you forage for food at first. You have to find a way to unlock the second and third section in order to advance the game and story. I created the levels to be large and each section has it’s distinguishing qualities and landmarks that are easily viewable so you know where you are. Of course there are sections that won’t be familiar and hidden sections. Each section brings out new activities and foods to get for your mother. Towards the end of the game, Ammi will come across a temple that is a trial to reach the sanctuary of her people. The temple will be filled with puzzles and obstacles just like Zelda games. There are multiple rooms and each room will require different methods to solve the puzzles and challenges. These are some of the hand sketches of the temple level I did. This way you can outline the puzzles and level outlines before you get to modelling the levels. I was really excited about designing this part of the game. It was fun to make.